Will the Supreme Court Review EPA’s Greenhouse Gas Regulations? Powerful dissenting opinions can sometimes persuade a higher court to review a lower court’s ruling. Massachusetts v. EPA (2007), the Supreme Court decision empowering the EPA to act as a super legislature and ‘enact’ climate policy, is a prime example. In 2005, the D.C. Circuit Court of Appeals held that the Bush administration EPA properly exercised its discretion when it denied a petition by eco-litigation groups to regulate greenhouse gas (GHG) emissions from new motor vehicles under §202 of the Clean Air Act (CAA). I remember feeling relieved but disappointed. The 2-1 majority ducked the central issue, namely, whether the CAA authorizes the EPA to regulate GHGs as climate change agents. In contrast, Judge David Tatel’s dissent made a strong argument that the EPA does have the power to regulate GHGs and, consequently, has a duty to determine whether GHG emissions endanger public health or welfare. Tatel’s opinion was a key factor persuading the Supreme Court to hear the case. The Court in Massachusetts ruled in favor of petitioners, setting the stage for the EPA’s ongoing, ever-expanding regulation of GHG emissions from both mobile and stationary sources. The EPA’s greenhouse regulatory surge, however, is not yet ‘settled law.’ Recent strong dissenting opinions by two D.C. Circuit Court of Appeals judges may persuade the Supreme Court to review one or more of the agency’s GHG rules — or even reassess its ruling in Mass. v. EPA. In Mass. v. EPA, the Supreme Court ruled that: (1) GHGs are “air pollutants” for regulatory purposes under the CAA; (2) the EPA must determine whether GHG emissions endanger public health and welfare (unless the agency provides statutory reasons why it cannot or will not undertake such an analysis); and (3) the agency must regulate GHG emissions from new motor vehicles if it determines such emissions endanger public health or welfare. The rest, as they say, is history. The EPA issued its endangerment determination in December 2009, compelling itself to regulate GHG emissions from new cars, and in May 2010, issued its GHG tailpipe rule. The EPA has long held that once any air pollutant from any source is regulated under any part of the CAA, major stationary sources become “subject to regulation” under the Act’s Title I Prevention of Significant Deterioration (PSD) pre-construction permitting program and Title V operating permits program. The EPA reaffirmed that interpretation in its April 2010 triggering rule. Those rules, however, threatened to create a politically-explosive administrative quagmire. Literally millions of non-industrial facilities emit enough carbon dioxide (CO2) to qualify as “major” sources under the Act’s statutory definitions (250 tons per year for PSD, 100 tons per year for Title V). The EPA estimated that applying the Act’s permitting programs to GHGs under the statutory definitions of “major” source would require the EPA and its state counterparts to process an estimated 81,000 PSD permits annually (instead of 280) and 6.1 million Title V permits annually (instead of 15,000). To handle this workload, agencies would have to hire an additional 320,000 full-time employees at a cost of $21 billion per year. Otherwise, ever-growing bottlenecks and delays would paralyze environmental enforcement and economic development alike. To avoid such “absurd results,” the EPA in July 2010 issued a tailoring rule exempting small CO2 emitters from the permitting programs. The rule decrees that for GHGs, a “major” source is one that emits 100,000 tons per year, not 100/250 tons per year, as specified for “air pollutants” in the statute. Although agencies should have some interpretative discretion when statutory language is ambiguous, there is nothing unclear about “100 tons” or “250 tons”. Tailoring is bureauspeak for amending. The irony, of which the EPA seems unaware, is that tailoring is itself an “absurd result,” because agencies have no power under the U.S. Constitution to amend statutes. In 2011 a coalition of industry groups, states, and non-profits petitioned the D.C. Circuit Court of Appeals to overturn all four GHG rules: endangerment, tailpipe, triggering, and tailoring. In June 2012, a 3-judge panel decided the case, Coalition for Responsible Regulation v. EPA, in favor of the agency, upholding all four GHG rules. In August, coalition members petitioned for an en banc (full court) rehearing. On December 20, the court voted 5-2 to deny the petitions. However, the dissenting opinions of Judges Janice Rogers Brown and Brett Kavanaugh are so cogently argued that the Supreme Court may decide to review the case. The Court might even reassess its ruling in Mass. v. EPA. In a future post, I will discuss Judge Kavanaugh’s dissent. 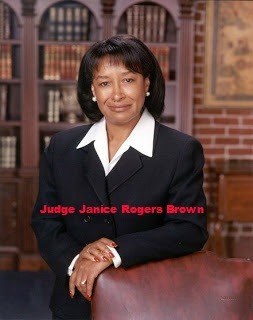 For now, let’s look at Judge Brown’s opinion. Bound as I am by Massachusetts, I reluctantly concur with the Panel’s determination that EPA may regulate GHGs in tailpipe emissions. But I do not choose to go quietly. Because the most significant regulations of recent memory rest on the shakiest of foundations, Part I of this statement engages Massachusetts’s interpretive shortcomings in the hope that either Court or Congress will restore order to the CAA. It was targeted legislation designed to remedy a particular wrong: the harmful direct effects of poisoned air on human beings and their local environs. This is what Congress understood as “air pollution which may reasonably be anticipated to endanger public health” in the tailpipe emissions provision, 42 U.S.C. § 7521(a)(1). The Supreme Court in Massachusetts v. EPA, 549 U.S. 497 (2007), however, concluded otherwise. It was no happy accident that congressional draftsmen titled the legislation the “Clean Air Act.” Ambient air quality was the point, purpose, and focus of the CAA. Congress had set its sights on the “dirty, visible ‘smokestack’ emissions” [citation omitted]. Simply put, when Congress became aware of new dangers, it acted judiciously in crafting workable remedies that, when they obtained the necessary political support, were worked into their own discrete provisions under the Act. Neither Congress nor the EPA attempted to force these distinct problems into existing, ill-suited regulatory schemes. Where our Representatives have acted with such caution, any suggestion that Congress has — through a single word — conferred upon EPA the authority to steamroll through Congressional gridlock, upend the Senate’s rejection of the Kyoto Protocol, and regulate GHGs for the whole of American industry must necessarily fail. The legislature, recall, does not “hide elephants in mouseholes.” Whitman v. Am. Trucking Assocs., 531 U.S. 457, 468 (2001). Congress’s inability to break this nearly quarter-century long deadlock is incredibly suggestive: this is not an area of policymaking where the legislature has acted rashly or unthinkingly in delegating authority to agencies. Next, Brown examines the relevance of FDA v. Brown & Williamson (1999), in which the Supreme Court struck down the FDA’s attempt to assert regulatory control beyond its statutory authority by classifying cigarettes as drug delivery devices. The Court distinguished the issues in Massachusetts from those in Brown & Williamson, but Brown shows how with “only slight modifications” one could rework the text of Brown & Williamson to apply to GHGs. Another extreme measure waiting in the wings (although not an issue in Coalition for Responsible Regulation and so fittingly not a topic of Judge Brown’s dissent) is GHG regulation via the national ambient air quality standards (NAAQS) program. As discussed previously on this blog, because the EPA finds endangerment in the “elevated concentrations” of GHGs in the atmosphere, the agency has implicitly committed itself to establish NAAQS for GHGs set below current atmospheric concentrations. Two eco-litigation groups, the Center for Biological Diversity and 350.0rg, petitioned the EPA more than three years ago to establish NAAQS for CO2 at 350 parts per million (~40 ppm below current concentrations) and for other GHGs at pre-industrial levels. Given the premises established by Massachusetts and the EPA’s endangerment rule, it is difficult to find fault with petitioners’ reasoning. CAA §108 requires the EPA to initiate a NAAQS rulemaking for “air pollution” from “numerous or diverse mobile or stationary sources” if such pollution “may reasonably be anticipated to endanger public health and welfare.” Carbon dioxide obviously comes from numerous and diverse mobile and stationary sources, and the EPA has already determined that the associated “air pollution” – the “elevated concentrations” of atmospheric GHGs – endangers public health and welfare. To my knowledge, the Obama administration has addressed the NAAQS issue only once — in a brief submitted to the Supreme Court in American Electric Power v. Connecticut (2010). The Obama Justice Department described §108 as one of the provisions making the CAA a “comprehensive regulatory framework” for climate change policy. This is worrisome because not even a worldwide depression that permanently lowers global economic output and emissions to, say, 1970 levels, would stop CO2 concentrations from rising over the remainder of the century. Yet the CAA requires States to adopt implementation plans adequate to attain primary (health-based) NAAQS within five or at most 10 years. The level of economic sacrifice required to implement a CO2 NAAQS set at 350 parts per million would far exceed anything contemplated by the Waxman-Markey cap-and-trade bill or the Copenhagen climate treaty, which seek to stabilize CO2-equivalent GHG concentrations at 450 parts per million by 2050. Congress did not pass the Waxman-Markey bill and the Senate did not ratify the Copenhagen treaty. They did not do so despite more than 20 years of global warming advocacy. So it would be the height of absurdity to suggest that when Congress enacted the CAA in 1970, years before global warming was even a gleam in Al Gore’s eye, Congress authorized the EPA to establish NAAQS for GHGs. Yet the ‘logic’ of Massachusetts and the EPA’s endangerment rule would appear to demand the agency do just that. How could the Massachusetts Court overlook the possibility that its decision would tee up the Mother of All Extreme Measures? Perhaps because petitioners gave the Court a bum steer. Petitioners argued that the EPA’s authority to regulate GHGs under Title II is “separate” from Title I and “entirely separate” from the EPA’s Title I authority to promulgate NAAQS. As is now evident to all, Title II regulation of GHG mobile sources triggered Title I PSD permitting requirements for major stationary sources. The EPA touts its Title II endangerment finding as the scientific basis for the proposed GHG new source performance standards (NSPS) for fossil-fuel power plants under §111, also a Title I authority. Finally, as argued above, the EPA’s Title II endangerment finding creates a precedent for a §108 NAAQS rulemaking. Title I and Title II may be “separate” but they are not “entirely separate”; they are linked. Near the conclusion of her opinion Brown writes: “Congress simply did not intend for EPA to convert the ‘Clean Air Act’ to the ‘Warm Air Act’ writ large. But that is exactly what the federal courts have done.” Yes, exactly. In both Mass. v. EPA and Coalition for Responsible Regulation v. EPA, federal judges facilitated and protected the EPA’s climate coup. Is it reasonable then to seek redress from those very judges? Perhaps so if the EPA’s many critics begin to hold courts responsible for agency’s greenhouse power grab and the associated damages to our economy and constitutional self-government.